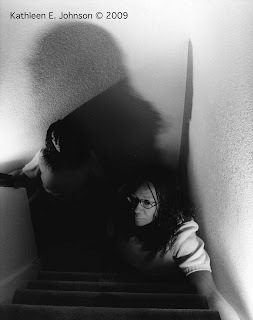 We're getting ready for Halloween Night with more Ghost Images. For a reminder of the technique, visit this vintage posting. These are the Grand Daddies of them All. 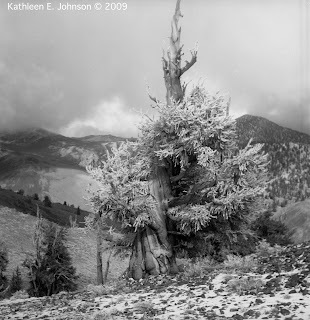 THE trees you think of when you hear Bristlecone Pines. 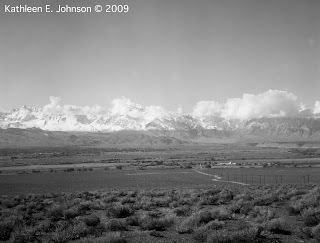 The Barren White Mountains rise to the east above the town of Bishop, California. 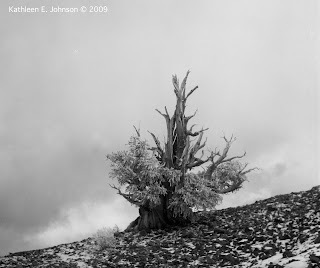 The oldest living things on Earth. 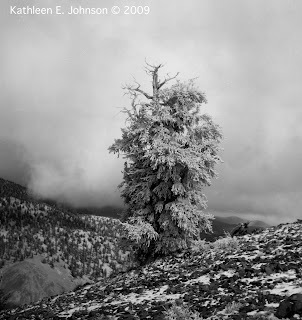 The harsher climate and poor soils in this area causes slower growth, and therefore a longer lifespan for these Bristlecones compared to their Rocky Mountain Cousins. The Park was technically closed for the season, but we went up a back road used by scientists who were still shutting down their alpine research lab for the winter. The back road is accessible only by 4-wheel drive vehicles, even in the best of weather. And as you can see the dogs love it! It has been snowing non-stop for the past 8 hours. I'll take more snow pix tomorrow, but it is coming down hard enough right now to make photography difficult. When I first started this blog one of the intents was to introduce my personal vintage cameras, and meet other vintage camera affcionados. I've fallen away from that a bit. 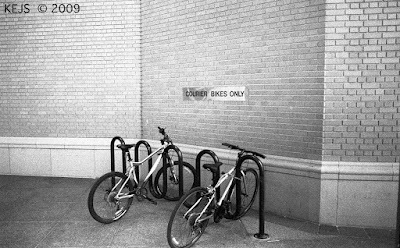 And I do still have two cameras that you haven't met and a third that I introduced on day one, so most of you haven't met that one (Mamiya 6X6). One of my newest Blogger friends at Analoog 60, has an amazing collection of vintage cameras and has gotten me back on track with my collecting goals and camera introductions. 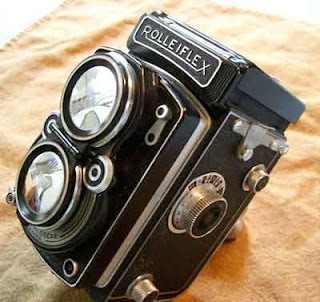 So it is time to meet the Rollei TLR. Given to us by my father-in-law, it's a close tie with my grandfather's camera for the oldest in the collection. Close-up. But what is he looking at? Can you tell? 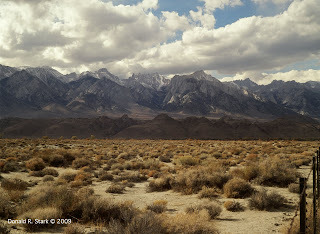 A final view of Fall in the Eastern Sierra Nevada Mountains. 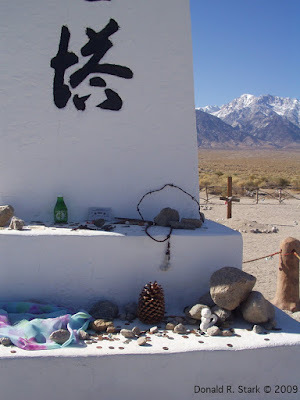 When I think of Mountain Cathedrals I have to say that the Sierra Nevadas are a near perfect representation: the beauty of Nature, the Pain of Manzanar, the Water stolen by Los Angeles. 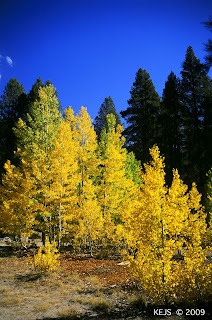 And so we leave Fall here; visit a few more English Churches, and return to the Mission Series by Advent. 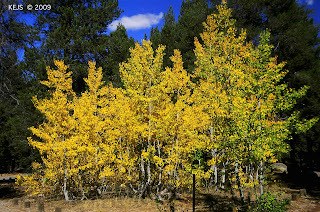 Same Aspens, but this time the angle of the view differs slightly. 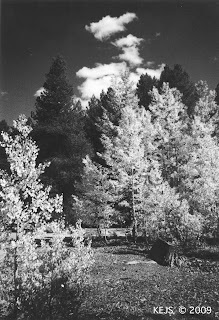 Still Mono hot Springs, Sierra Nevadas. It was nice being able to camp well into the Fall. In Colorado, Fall in the Rockies is brief, easy to miss if you Blink. Not Precisely the same perspective, but close enough. 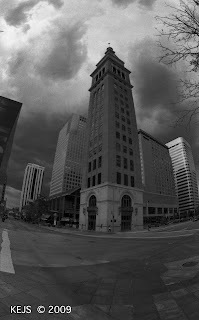 Another Brooding Fisheye Photo around downtown Denver. 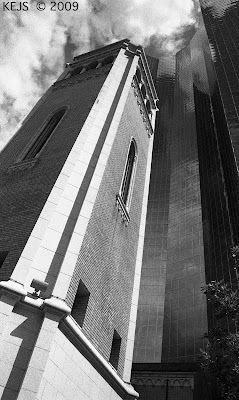 This is the same Tower featured last week in Night Moves. 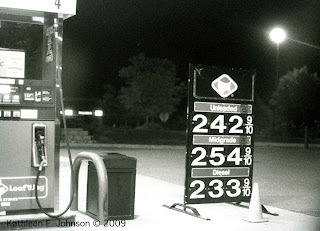 Cheap Gas, But at What Price? 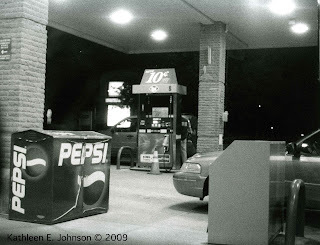 I never thought about photographing around a Filling Station, especially at night, until I was in a class with someone who worked at one (at night). We had a night photography assignment, but since he worked there every night he had to get creative and see what there was to see in his surroundings. 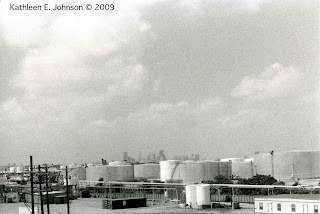 The 'Luxury' of Cheap Gas usually means that you may have some undesirable neighbors. 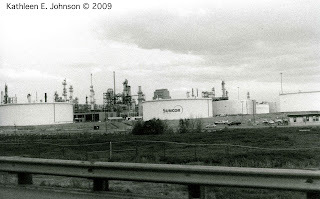 Meet Denver's own local Oil Refinery! It's about halfway between my home in the hinterlands, and downtown Denver. 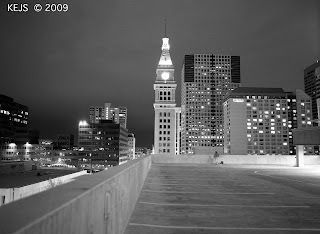 We pass by here whenever we go to the far east side of Denver from our home. People here have a lot of respiratory disease. 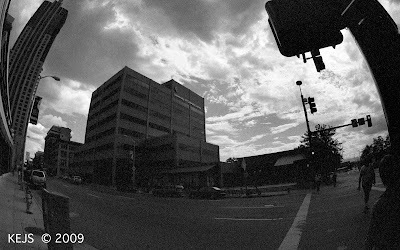 The remnants of Denver's industrial past help to explain that. Would we expect to find Faith (or Hope) here either? The Famous White Tower aka Tower of London. The Original London Home of William the Conqueror; later final stop for people that fell out of favor with later Kings. But Lest we forget, Sir Thomas Malory wrote at least part of Le Morte d'Arthur while imprisoned here. And he didn't lose his head either, but lived to a fine old age. 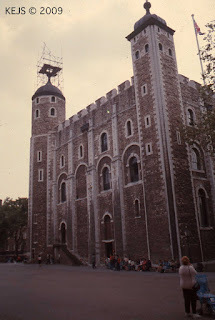 For more pix of the Tower Of London, visit this link to Trojan's Corner. 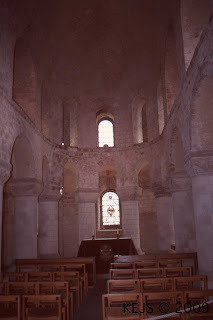 And inside we find what would have been the Royal Chapel. How many said their final prayers here? How many were answered? 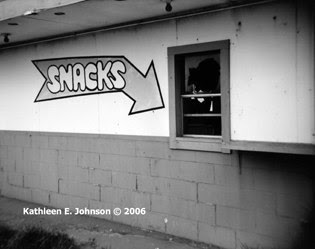 One of my favorite B&W images, I also took the same photo in color (same day and moments apart). 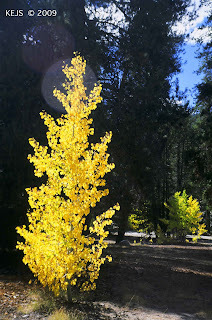 Just below the Dam at Mono Hot Springs, Sierra Nevada Mountains. What a milestone....20 Followers! And I've added more Blogger Friends Too! 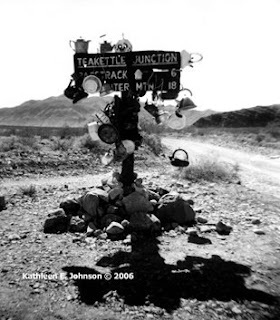 So Naturally another Holga Classic......Teakettle Junction is a crossroads in Death Valley, on the way to the famous Race Track, where the rocks have been known to move on their own....They really do, but scientists have figured out how. I'll post some photos of the Race Track next week. And maybe we will start a Death Valley Series. Let me know if you are interested. Note to friends: Only accessible in the best of weather, and by real 4X4 vehicle! 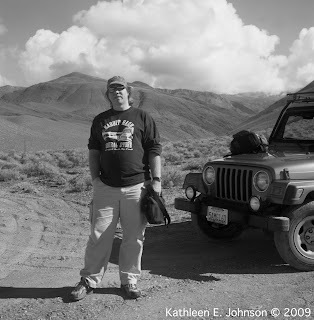 We have two Jeeps, so we can get there! A belated Kudos to Rio De Janiero on being awarded the Olympics, but for a perspective on what the world is missing I invite you to view the exciting urban landscapes of one of my Photo Influences at: Things I See . 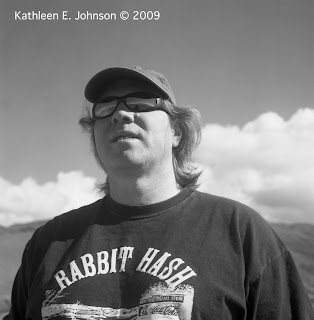 Keith has inspired me to venture deeper into the 'other' Denver. The one you will never see on television. Also visit: Chicago Daily Photo. And I have to say, having lived in Chicago, it is one of the very few cities that I would return to as a permanent residence......So that's my Endorsement. An image I call 'Up On the Roof' Can you see why? 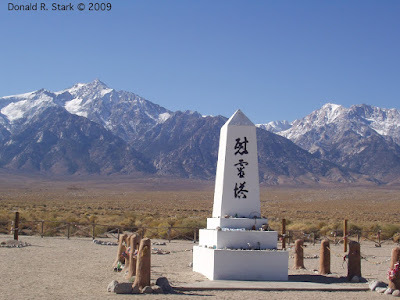 Manzanar was one of the infamous internment camps for Japanese Americans during WWII. Only a few foundations left, as most of these camps were torn down in an attempt to erase the past. There are plans to build a museum here. I call this 'Faith Beyond Belief' because these people tried to maintain a sense of normalcy here behind the barbed wire, working, setting up organizations and activities, going to school, births, deaths, like any other community; and returned to their American lives after the war. 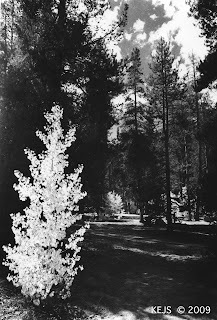 I had never met survivors or their descendants until I lived in California, where most of them were originally from. P.S. 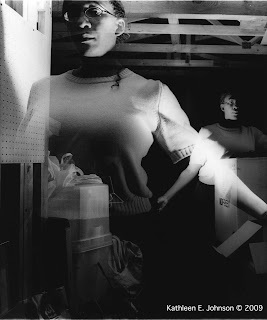 These are Donal'd Pix; Mine of course, are B&W. We'll see those later. 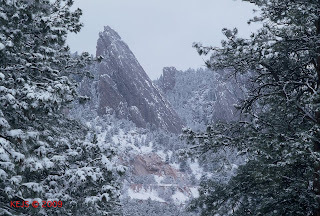 Today we had our first measurable snow on the east side of the Front Range. But it wasn't a very 'attractive snow' The ground hasn't frozen yet, and its just a bit Mucky. 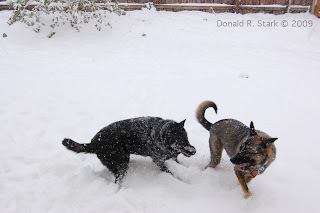 So I'm sharing with you an Early Snow of a couple of years ago. These are the Flatirons, the most prominent formation on the Eastern Front Range. 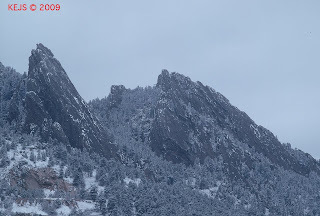 These photos were taken from the Mesa Lab of the National Center for Atmospheric Research (NCAR). 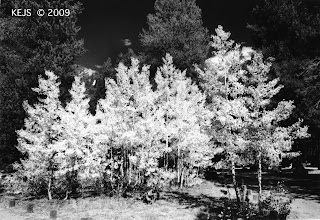 It is called the Front Range because it is the First Range of the Rocky Mountain Cordillera that you encountered when traveling in your pioneer wagon train from the East. It runs North-South the entire length of Colorado dividing the state approximately in half. 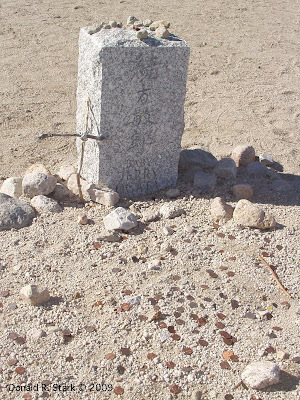 It was such a formidable barrier to the pioneers that early trails west went around it: The Santa Fe Trail to the south, and the Oregon Trail to the north. Let me dig into the snow archives and find some pix of the Continental Divide for later this week. Similar Views side by side. 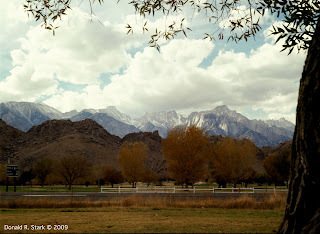 And that means it is time for another Holga Pix.... This one from Old Ft Ord, California. I could call it 'life amongst the ruins'. 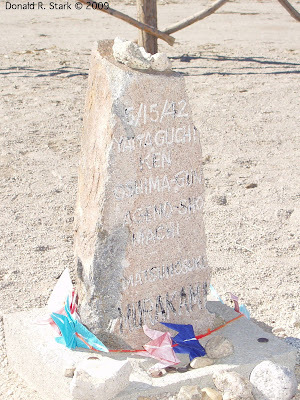 When military bases are closed here, the land is turned over to public use. So they built a new University, Calstate Monterey Bay, where I taught for awhile. there was lots of almost new housing on base, so this was turned over to the University to manage. Cost of living being what it is in California (meaning totally outrageous) these old military offficer's quarters were used as subsidized housing for University employees and government employees (state, local, and federal). 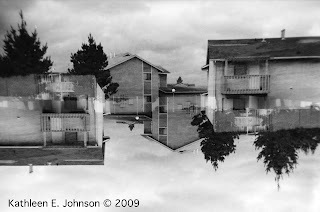 As underpaid government employees we lived for the first time ever in what could be called 'public housing'. Typical housing shown below in a not so typical way. I've posted twice now on this subject. 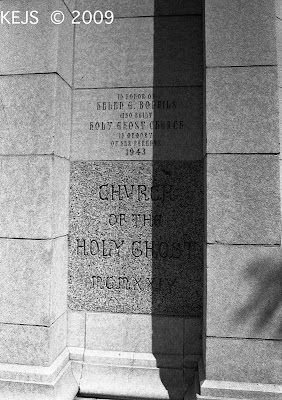 I want to finish by showing you the rest of my photos from the 'forbidden daytime shoot' At the Church of the Holy Ghost, Denver. 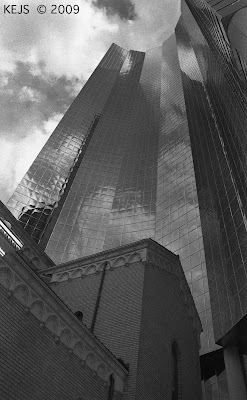 Film: Ilford ISO 3200 Lots of Grain!